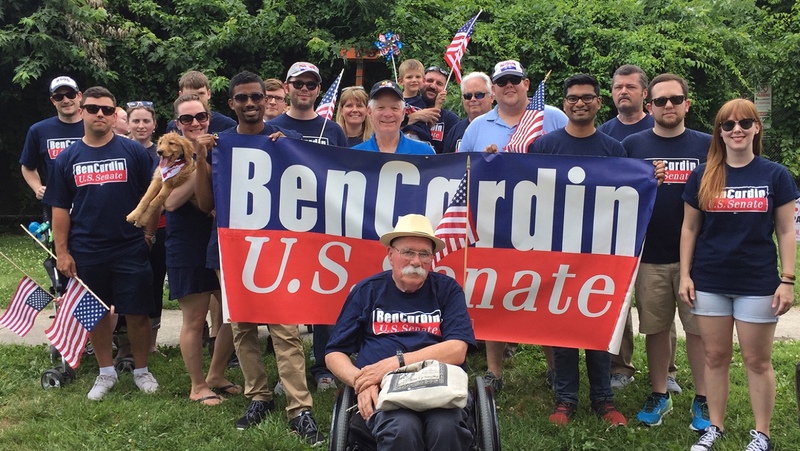 Proudly representing the people of Maryland in the United States Senate, Ben Cardin is a passionate and successful advocate for Marylanders and the issues they care about most. He is a strong believer in good government and how it can empower individuals and communities. A third-generation Marylander, Ben Cardin has dedicated his life to public service. A strident defender of the Chesapeake Bay, he fights to strengthen our middle class and improve our economy. He has held the line against Republican attempts to repeal Obamacare and voted against the Trump tax cuts that gave permanent tax cuts to big corporations. He is taking on the NRA to pass a national ban on assault weapons, bump stocks and require universal background checks for all gun purchases. As the lead Democrat on the Senate Small Business Committee, he works to empower minority-, women- and veteran-owned small businesses. He is fighting to safeguard civil rights and banish discrimination. He is a leader in protecting Planned Parenthood, and defending women&apos;s rights and human rights at home and globally. He is a vocal defender of federal workers and is working to ensure a quality higher education is in reach. Paid for by Ben Cardin for Senate, Inc.